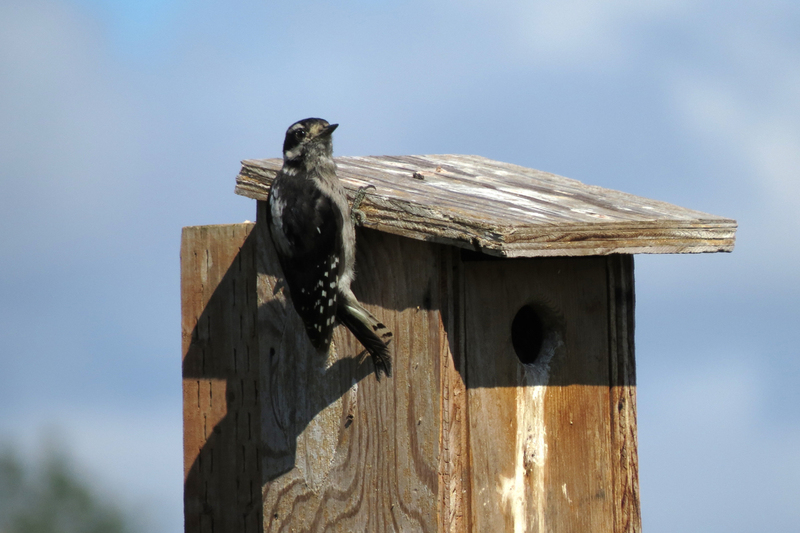 I scouted Jackson Bottom Wetlands Reserve in Hillsboro for my shorebird class this week. Much of the area is dry, but Pintail Pond still has enough water to create mudflats and easy fishing for the Great Egrets. 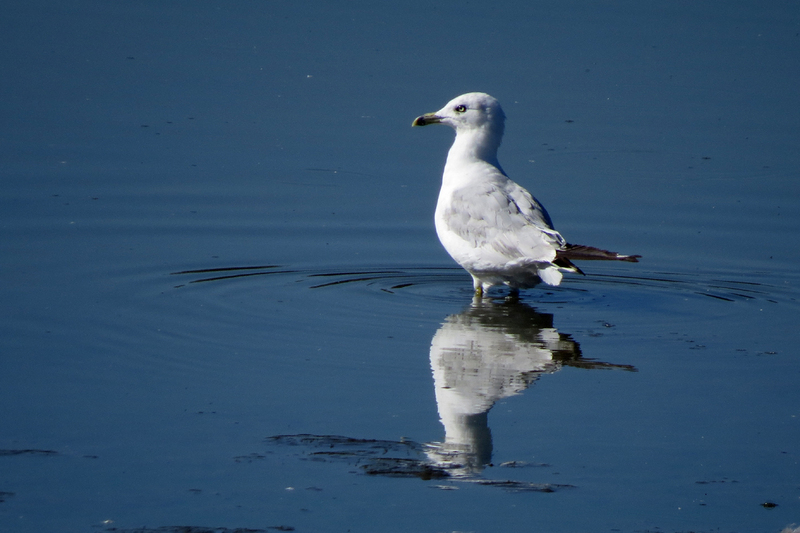 One Ring-billed Gull was hanging out with several California Gulls. 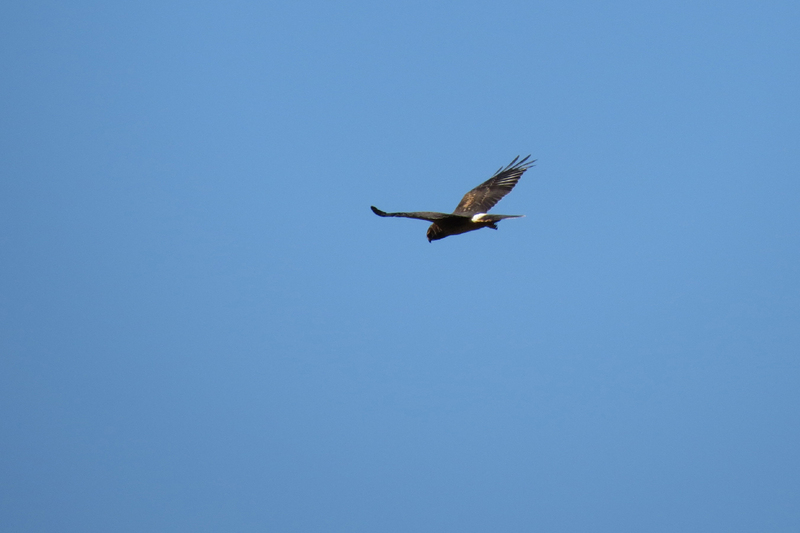 This Northern Harrier repeatedly strafed the mudflats, sending all the shorebirds into a panic. Jerk. 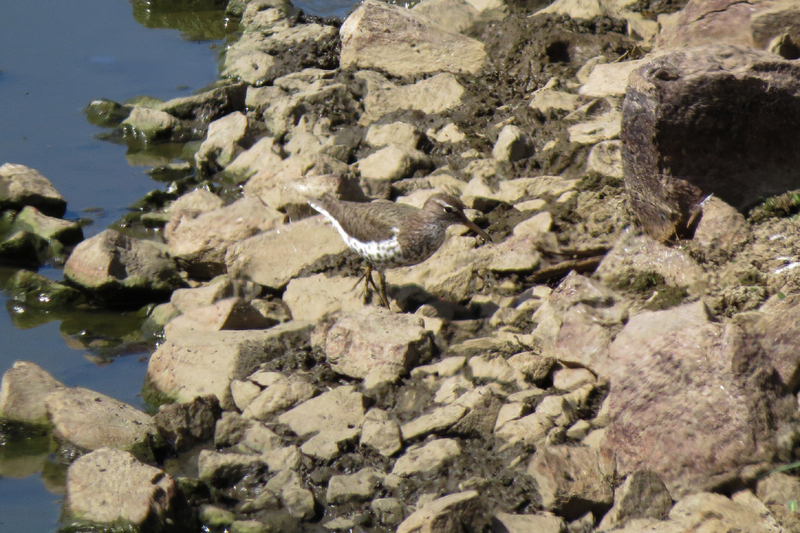 Most of the shorebirds were beyond decent photo range, but this Spotted Sandpiper came fairly close. 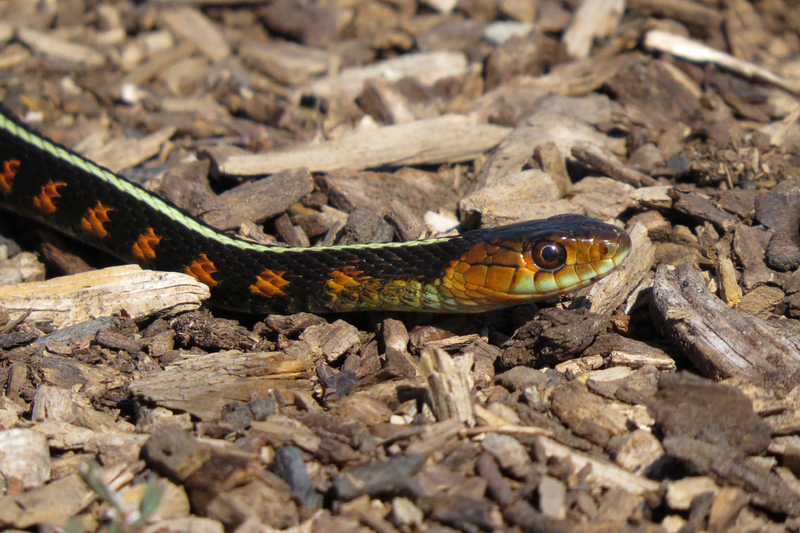 The Common Garter Snakes at this site have great coloring. We saw several chasing fish in the shallow water. 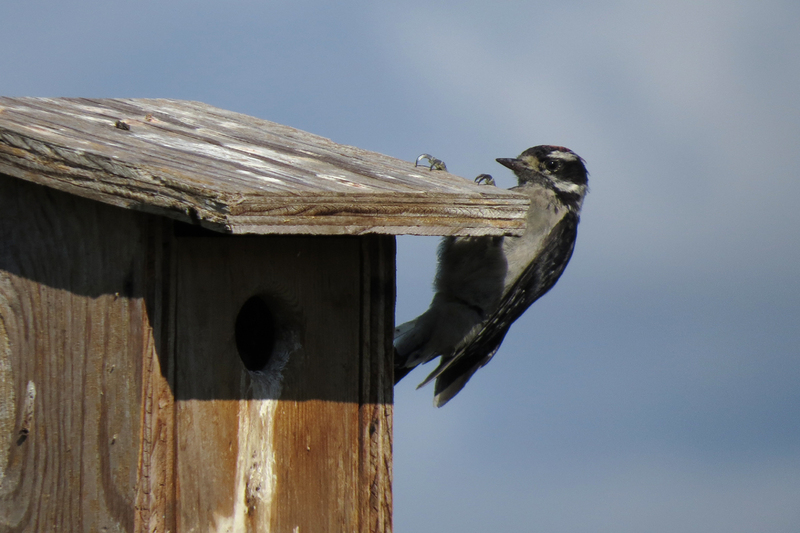 This young Downy Woodpecker was checking out a swallow house. He didn’t go in, but explored all around the outside. 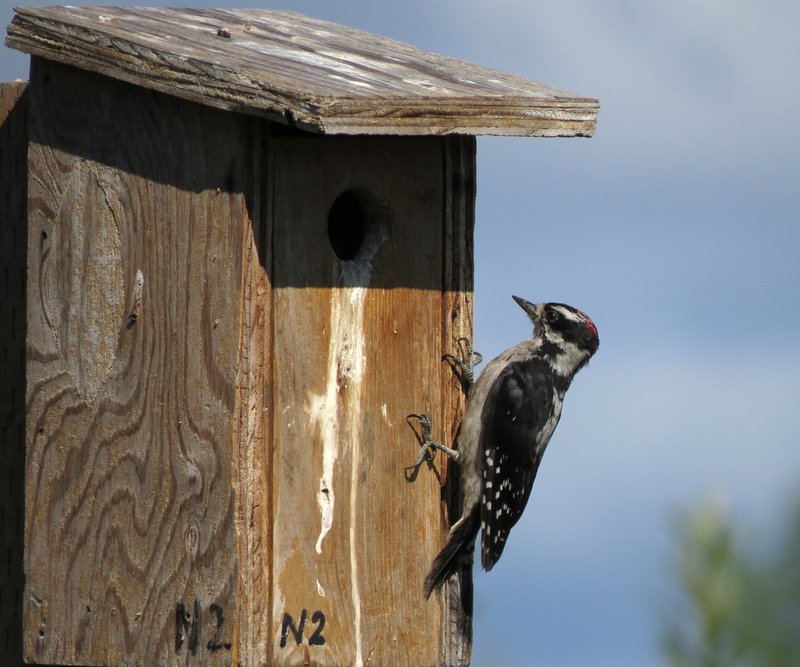 This entry was posted in OR Birding Sites, reptiles & amphibians, seasonal movements and tagged Common Garter Snake, Downy Woodpecker, Great Egret, Jackson Bottom, Northern Harrier, Ring-billed Gull, Spotted Sandpiper. Bookmark the permalink. 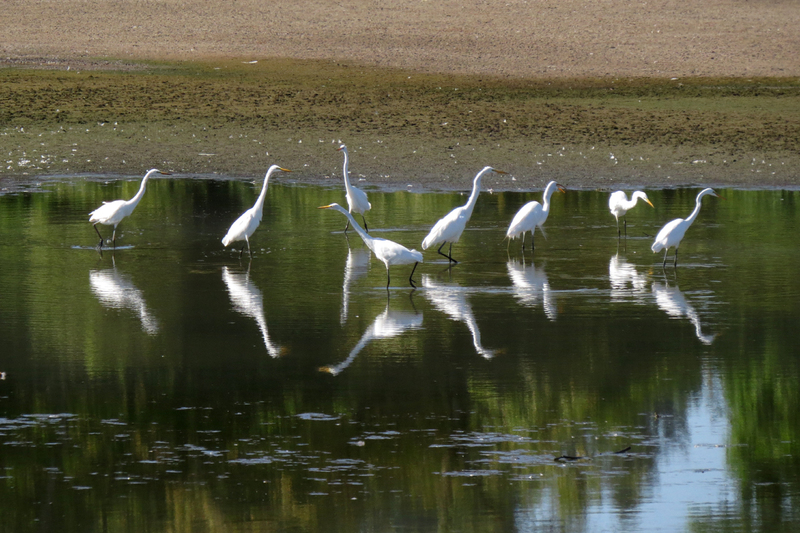 These images are lovely; thank you so much, especially for the egrets. So THAT’S where my great white went!—E. Are you some kind of snake charmer? They always slither away from me before I even see them. That IS some great coloring!